Malbec, and then some. — Wine is my favorite snack. Does this photo make you dizzy? Shot from a phone while in a moving bus over The Andes, Argentina bound. Wines from South America, namely Chile and Argentina have become increasingly associated with elegance and value in recent years. 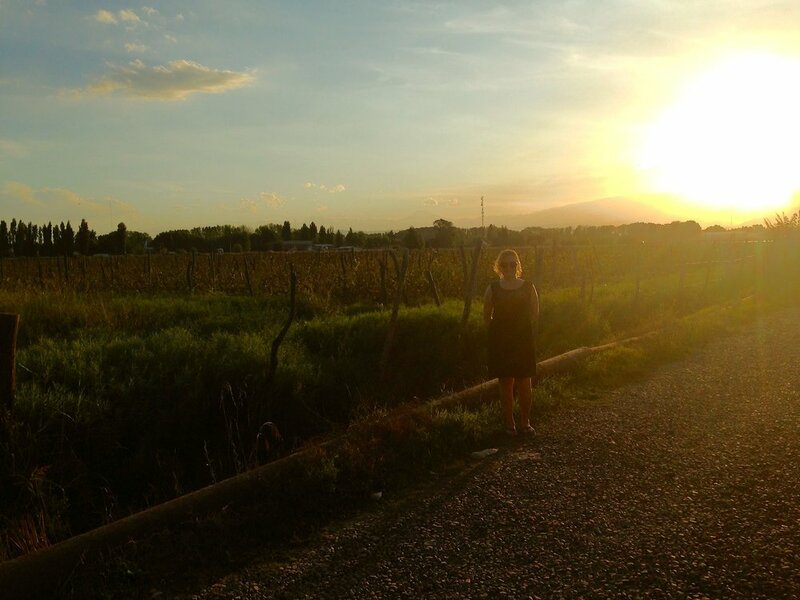 When we visited both countries in 2015, I noted that it would be a disservice to the robust viticulture to focus sheerly on the affordability, though always a bonus for consumers (ahem: winos). The wines from the Southern Hemisphere are to be contended with. They are bursting with flavor, with grapes ripened at elevation in many cases, and possess an opulence to boot. This post highlights: 2 wines from Argentina, a red and a white and 2 from Chile, also a red and a white. As the fifth largest producer of wine in the world, Argentina encompasses a massive amount of terrain that includes the Andes Mountains, glacial lakes and the Pampas grasslands. Given the biodiversity found, it is not surprising that the viticulture also reflects the variance in altitude, soil, weather and other aspects of terroir. Most of the wine regions are in the foothills of the Andes between the Tropic of Capricorn at the 23rd parallel south and the 40th parallel south: ideal coordinates for growing grapes. The northwest regions are vulnerable to the forceful Zonda winds, as strong as hurricanes, which can disrupt the flowering process and result in low yields. Despite the difficulties of high altitude growing, the wines are gaining more and more recognition for quality and value. And they are delicious! Cornfetti rice and shrimp salad with Kaiken Torrontés. Talk to me about Torrontés. If Malbec is the red grape of Argentina, then Torrontés is the white. Characterized by an aromatic nose of florals and stone fruits, with a smooth mouthfeel and a controlled acidity. It is easy to throw back, as it is light and tasty. We opened the Kaiken Terroir Series Torrontés to serve with one of our "go-to" weekday meals: The Cornfetti Shrimp and Rice Salad, recipe from Trader Joe's here. Tasting Notes: This delicious wine smacks of citrus with floral aromas surrounding the experience. The acidity is present but very well integrated, making for an evenhanded finish of zest and gravel. Vineyards & Winemaking: The grapes are sourced from 80 year-old vineyards at high altitude, which impart good acidity. The grapes were hand-picked, as all are in the Kaiken Terroir Series. Fermentation takes place at low temperatures for approximately 3 weeks, after which it is racked and decanted to remove residual thick lees (yeasts) . It would pair with many seafood delights, green vegetable laden dishes, soft cheeses, including goat and spicy food such as Indian or Thai. This is a good varietal for people who are branching out from Pinot Grigio or Sauvignon Blanc. It checks off some of the same boxes with flavors and acidity. This is how we do portabella burgers: grilled in balsamic alongside onions, accompanied by roasted red pepper, fresh slices of avocado and aged cheddar on a toasted brioche bun. The national variety of Argentina. One of the original 5 main Bordeaux varieties, you can dress it up or down. It pairs with BBQ, pizza, rich casseroles or just cheese. It can be dark and inky with structured tannins or fruity and berry bursting. Who doesn't love a good Malbec? It even has its own day, on April 17. People are mad for the stuff, and with good reason. Thought to first be brought to Argentina in the 1850's by none other than a frenchman, mais oui (but of course), this thin skinned grape likes to sunbathe high and dry. Argentina has the right terroir for it and produces some of the most simpatico and superior expressions of Malbec, the world over. Tasting Notes: The blueberry and blackberry aromas beckon a nice long inhale. The palate detonates into more black fruit of cooked and spiced plums. It finishes clean and complex enough for smoked or grilled foods. Vineyards & Winemaking: The grapes for this wine are sourced from 3 different vineyards at different elevations and with varying soil types. Some are alluvial, some sand and silt surface atop rocky layers and supplying favorable drainage. Hand-picked, the must is fermented for about a month and then aged in French oak for 12 months. Map of Chilean wine regions is from Vine Connections. The long narrow South American country that mimics an unfurled ribbon on the map, has an extensive history of viticulture. Originally forged in the 16th Century by the Spanish conquistadores who brought vines with them on their mission. Later in the 18th Century, French varieties began to be cultivated which is when the lost grape of Bordeaux emerged: Carménère. For years believed to be Merlot, genetic testing proved otherwise. The vineyards of Chile have remained resistant to phylloxera, the louse which has decimated the vines of Europe and California. The proximity to the dry Andes ensure a large diurnal swing, cooling the grapes at night, which maintains a desirable acidity. Hopefully by now you have noted the Montes logo of the angel bearing grapes, on the Kaiken labels also. 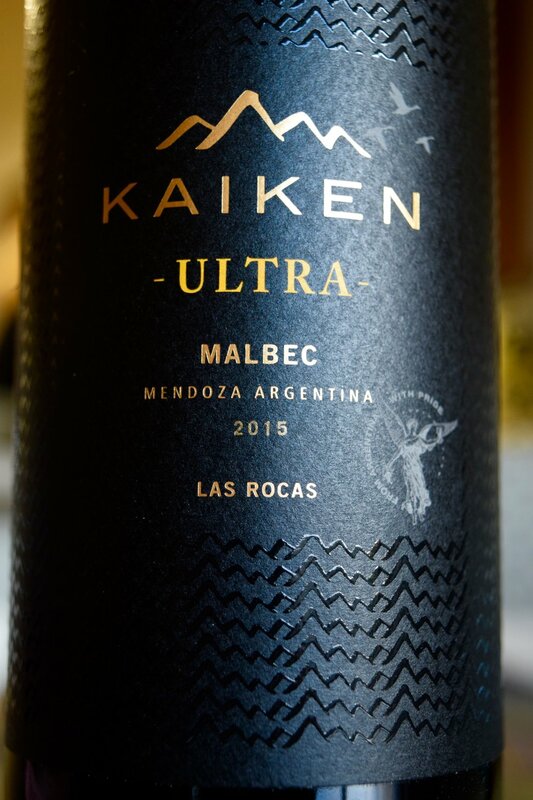 Subtle but definitely a claim worth noting as Kaiken is one the many labels of Montes. Founded in 1987 by four visionaries who set out to make exceptional first growth wine in Chile, they have long surpassed the original quest. As stewards of the land, they sustainably dry farm, which is irrigation provided by mother nature. Decreasing water usage by up to 65%, this approach encourages the vines to go deep into the earth seeking a source, getting strength, character and producing ripe flavorful fruit. Their Purple Angel line is prominent and has a price-point to match. The offerings below give entry-level options, which are full of flavor and reflect the distinctive terroir maximized by Montes. Tasting Notes: Initial aromas red berries rolled in black pepper, give way to chocolate, vanilla and purple plum. The tannins are exacting, creating a mouth-watering longing for food. It would pair with a high fat protein or a dish smothered in red mole sauce. Vineyards & winemaking: The grapes come from clay soils at the El Arcángel Marchigüe estate, located at the western end of Colchagua valley, where, near the Pacific Ocean, the relatively cool maritime climate allows this late-ripening variety to mature slowly and reach full ripeness. After fermentation, the wine is moved to French oak barrels where it is aged for 12 months. Tasting Notes: Tropical aromas of banana, mango and pineapple cloaked in smoked allspice. Get ready to taste the MLF (malolactic fermentation)! A style both beloved and beguiled in Chardonnay. The buttered popcorn notes reflect the oak aging in French barrels. Crisp finish to sum it up and would pair well with creamy seafood dishes, like a crab au gratin or salmon benedict. Vineyards & winemaking: The vineyards are located in the Aconcagua Costa region, close to the Pacific Ocean, with an influence of cool sea breezes which enable this Chardonnay to ripen slowly and fully. The grapes are hand picked very early in the morning to keep them cool until they reach the winery. The grapes are processed in one of three different ways—full-cluster pressed, destemmed then pressed, or cold-soaked for several hours. Only 40% of the wine comes into contact with French oak barrels for 12 months. All of the wines were delicious and so different from each other, representing the diversity of winemaking in South America. Drinking them brought back fond memories of our trip there, making me smile. For this upcoming weekend, consider the wines of Chile and Argentina, specifically Montes and Kaiken. They will not disappoint!